Grey or white, all's one to me." 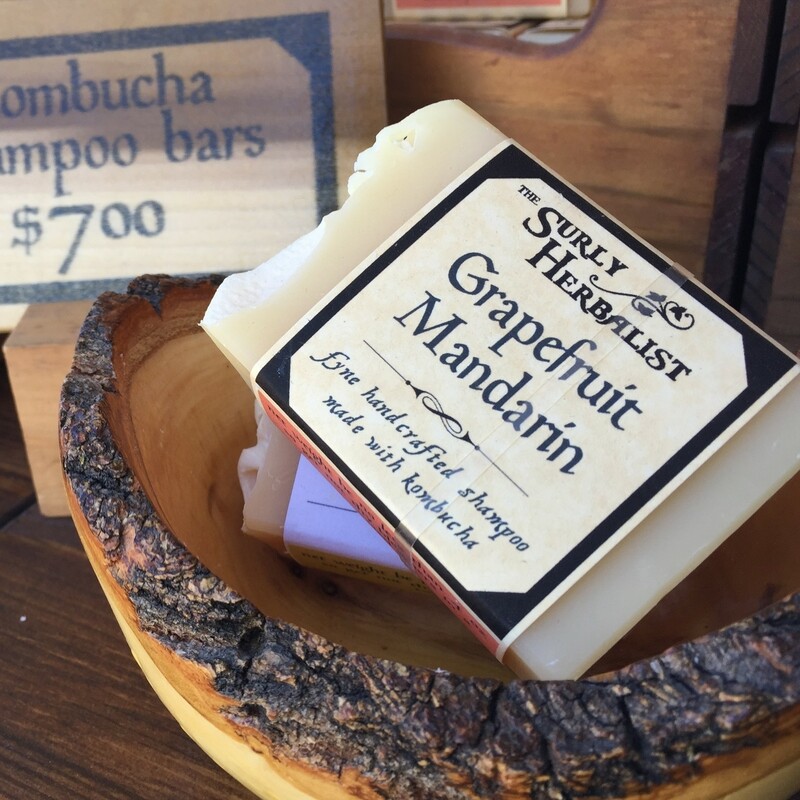 Tart Grapefruit and sweet mandarin go into this shampoo bar made with real organic kombucha tea. ingredients: saponified & unsaponified oils (babassu, coconut, sustainable/organic palm, castor, abyssinian seed), organic kombucha tea, essential oyl of lemongrass and phthalate-free fragrance oyl.